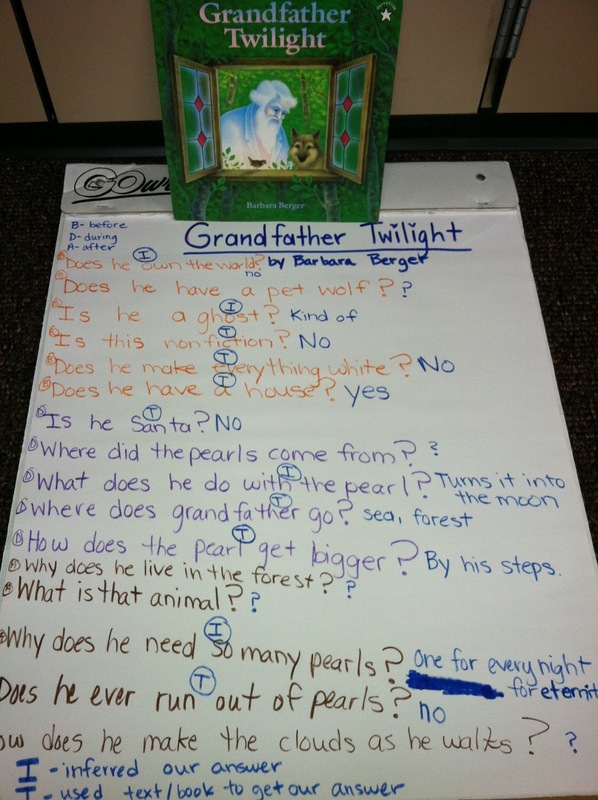 On Wednesday we read Grandfather Twilight by Barbara Berger. This book is about a Grandfather Twilight that walks through the forest to welcome the night with his gift to the growing darkness. We used this book to reinforce what we have been learning about over the last two weeks-Asking Meaningful Questions. 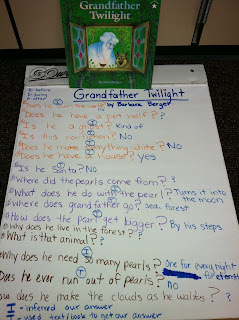 Check out the questions they came up with before, during and after we read the book. Then take a peek at their answers and the strategy they used to find the answer (using the text, inferring or other resources). I am very proud of all their hard work. As we continue to build on this strategy, my next step is to have them show me in a good-fit book of their own this process.